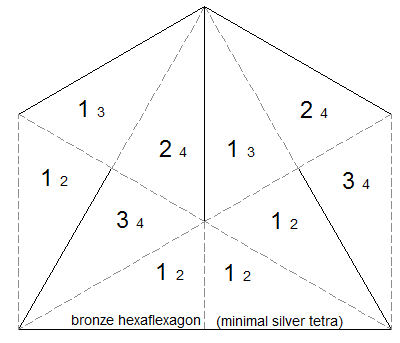 The following shows an example of how a flexagon can change as a result of the silver tetra flex. See the octaflexagon page for a video demonstrating this flex. Here's an example of doing the silver tetra flex on a spiral bronze dodecaflexagon. The following strip is for the simplest possible flexagon that supports the silver tetra flex. It requires 10 leaves and 6 pats. The simplest flexagon is a right triangle hexaflexagon. Click on the thumbnail to get the full sized version. Cut it out and copy the small numbers onto the back faces. Fold the adjacent pairs of 4's together then the adjacent pair of 3's together. Tape together the two triangle edges with the dashed lines to make a triangle. 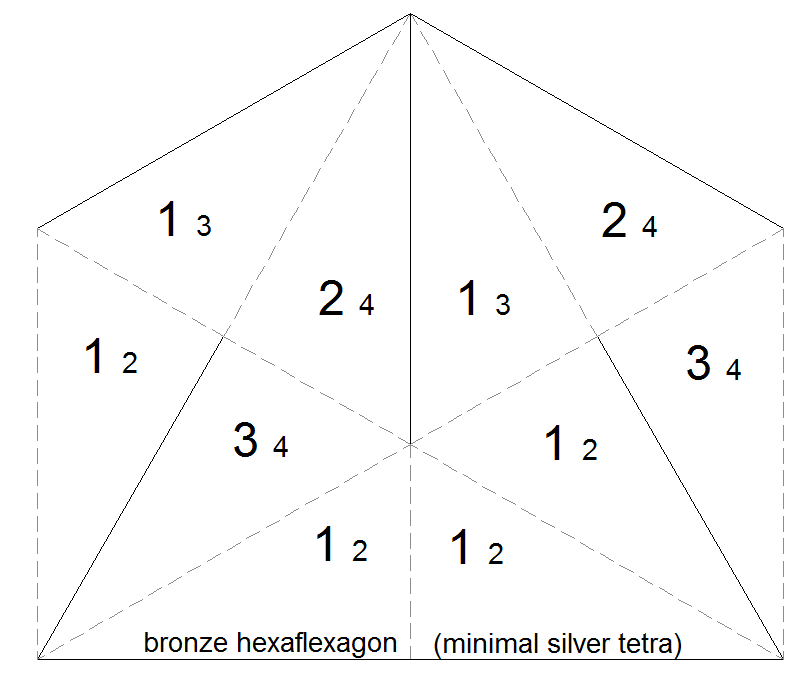 See the Dodecaflexagon Path Puzzle and Octaflexagon Path Puzzle for other examples of this flex.